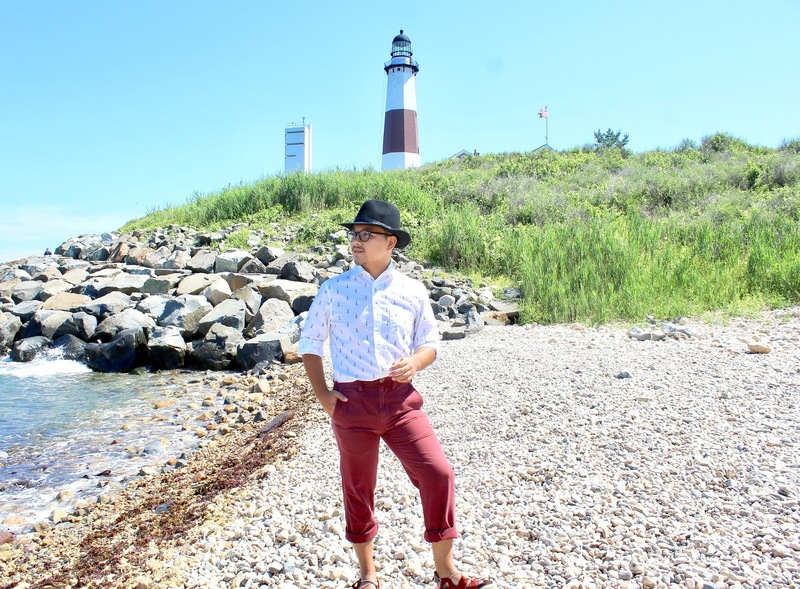 Every year, I like to start off my summer season by visiting one of my all time favorite locations, The Fire Island Lighthouse, in Fire Island. 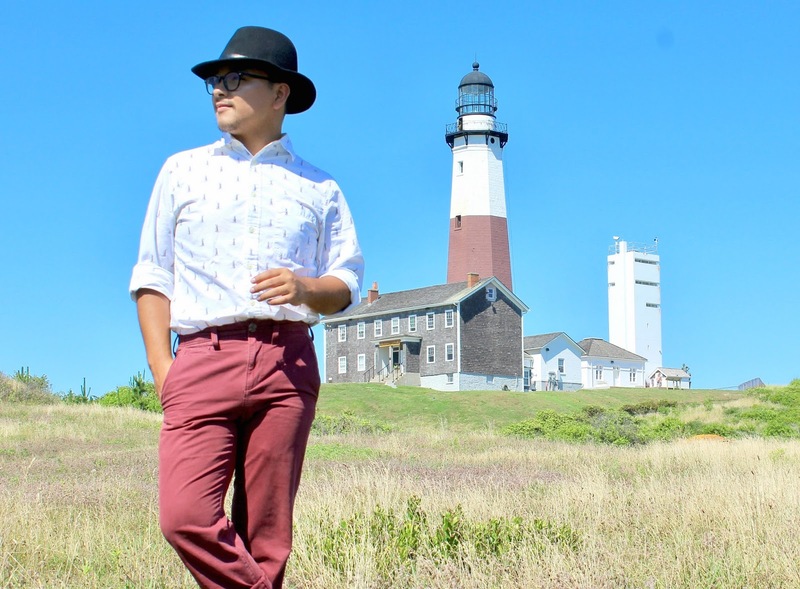 To end the summer season this year, I got the chance to visit The Montauk Point Lighthouse, located at the very end point of Long Island, NY! Though I have been to this location a couple of times in previous years, this time was a bit special since I was accompanied by someone very special to my heart. Also, it was a great last minute trip and a perfect way to end the summer season. 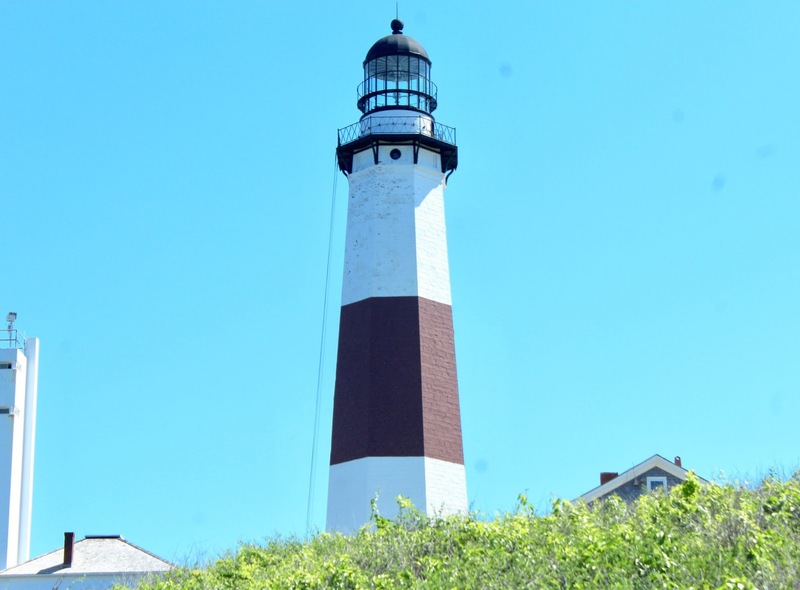 The Montauk Point Lighthouse is located at the very very end of Long Island, New York. Not only is a famous and a symbolic building, but also is a great summer spot. 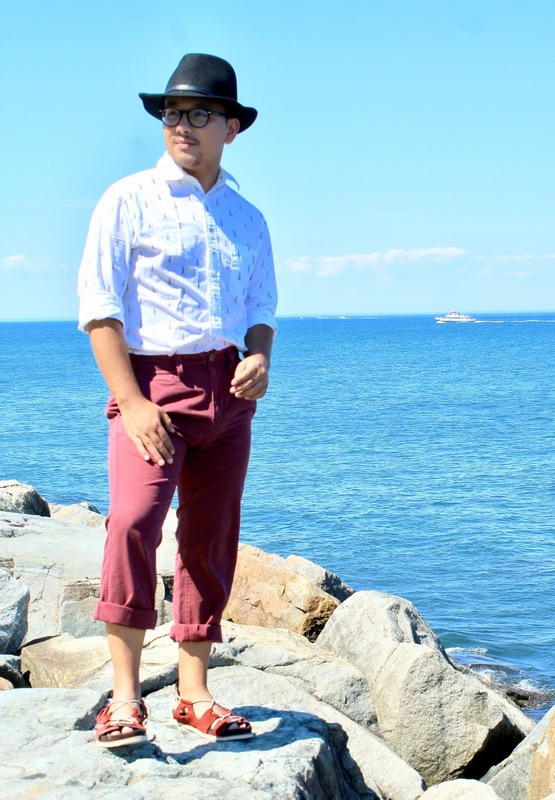 For this outfit look editorial, I decided to embrace some fall colors, but maintaining a bit of summer style. 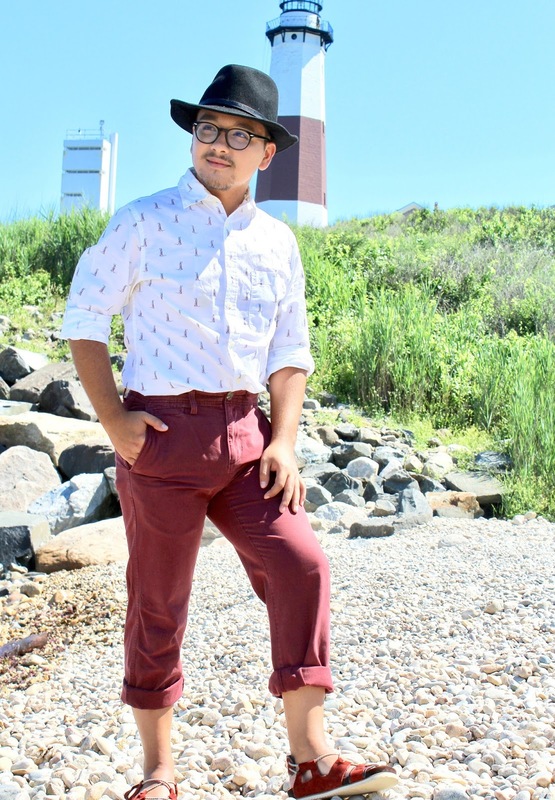 I wore this cute white shirt with little lighthouses print design on it. 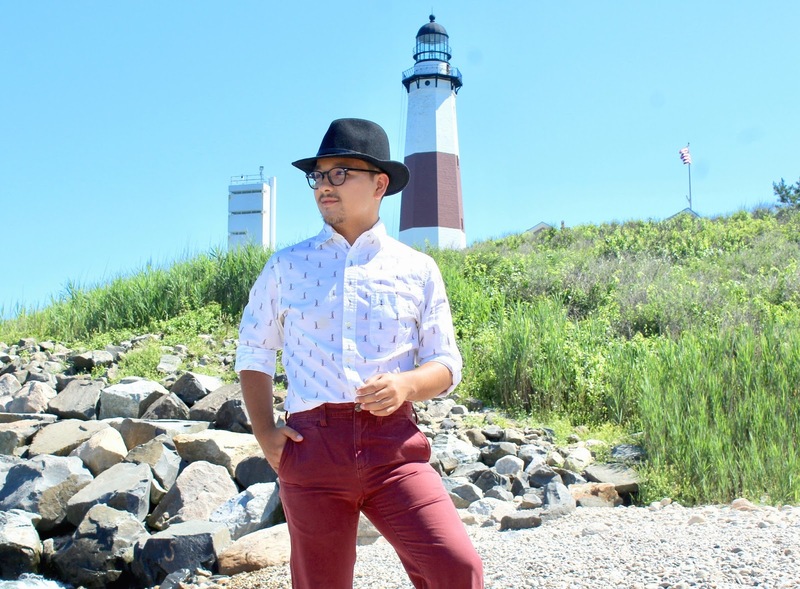 This shirt was a perfect choice because the little lighthouses print on the shirt really reminded of Montauk's Point Lighthouse. 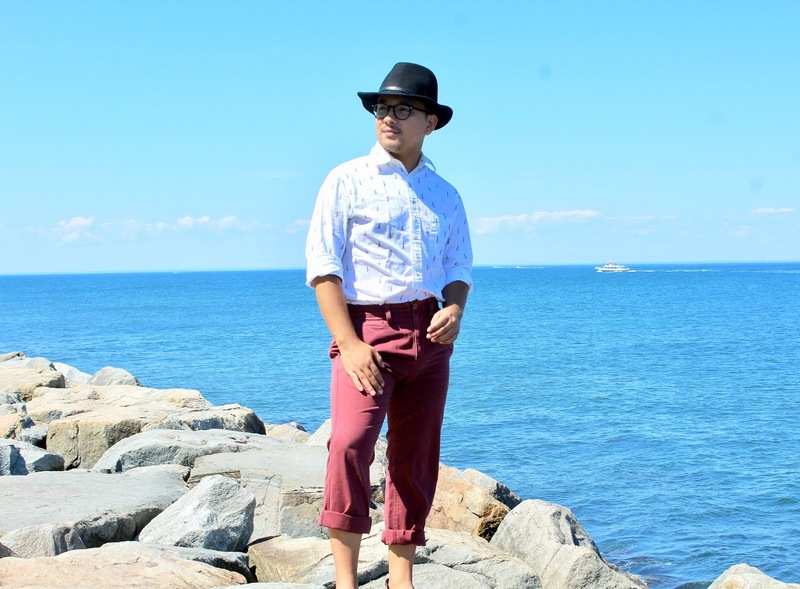 To match, I wore these Kohl's red pants, along a pair of red sandals. 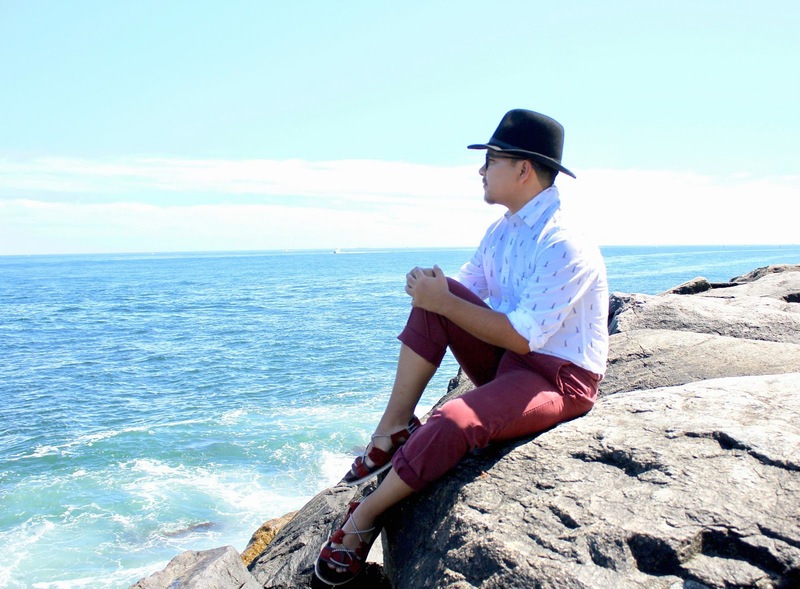 Since, it was very sunny and this look was giving me elegant summer vibes, I wore my classic black fedora hat along with my everyday eyeglasses from Zenni Optical. 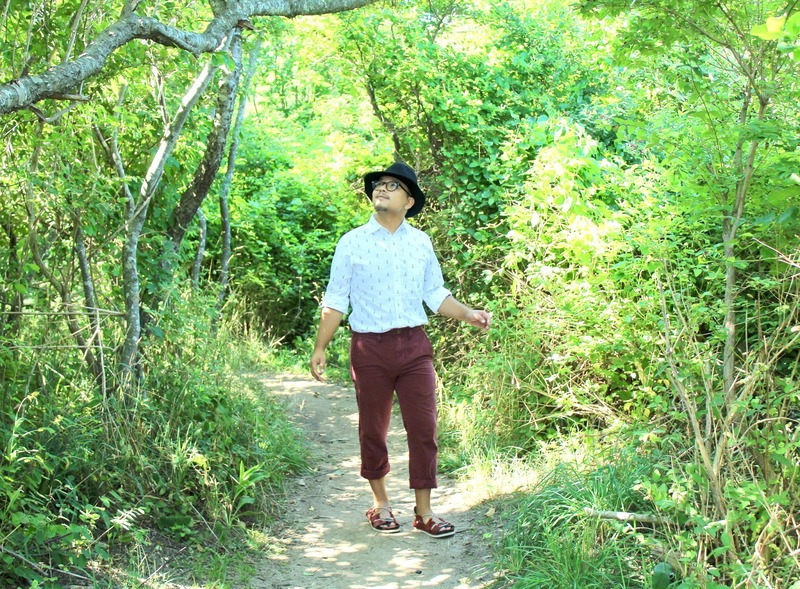 Though summer season has ended, I'm really happy to have visited the locations I planned in visiting. One season end, another one starts, and I'm looking forward in enjoy each of them the best I can. Hope everyone had a great summer, that's all for today and I'll see you all in my next post!